Move-in ready former model home! This stunning three-bedroom, two-and-a-half bath luxury townhome is ready to be your new home. Bright, open living areas and stylish finishes, including designer interior paint, welcome you in this new-construction home. A roomy kitchen, complete with stainless steel appliances and soft-close white cabinets, overlooks the sizable great room and casual dining nook. A covered, screened lanai makes the perfect place to relax and enjoy the sunny Florida weather. Upstairs, the master retreat will be your favorite place to get away from it all, with a spacious walk-in closet and full en-suite master bath with tiled shower enclosure and dual-sink vanity. The homes secondary bedrooms share a full jack-and jill bathroom and feature walk-in closets. The laundry room is also located upstairs for added convenience. Enjoy amenities including a gated entrance, common areas and wetlands conservation, pool, and cabana. 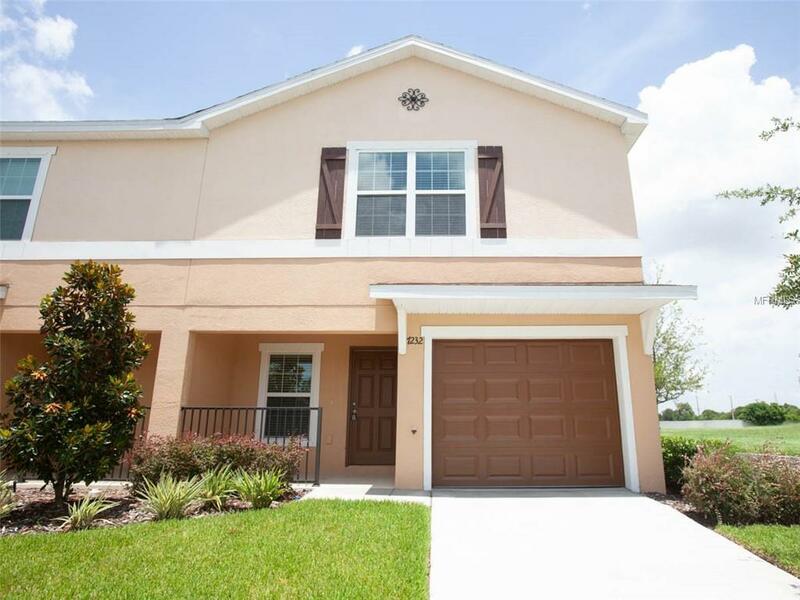 Located in the Riverview area, off Big Bend Road, your new home is near the best of Tampa Bay with beaches, entertainment, and outdoor attractions nearby. Dont miss the chance to live in model home luxury. Call today to visit before it is gone!